hcbaker has no other items for sale. $4.00 shipping for each additional eligible item you buy from hcbaker, when you use the cart to make your purchase. We have a 30 day exchange policy for defective items as long as the items have not been damaged or misused. Good transaction, fast shipping and delivery. Thanks! Items exactly as described and super fast shipping. Great business, thank you! Just as described. Fast shipping. Thank you ! Bought these to replace the ones on my 1987 BMW L6 SI board. The original Sanyo ones, after 30 years still had 3.54 volts in them compared to these newer ones with 4.13 volts. Quite amazing to me. 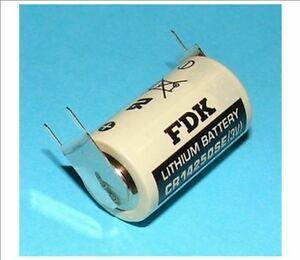 I know lithium batteries last long but 30 yrs. and still going?...I was tempted to leave the old ones in place but removing the instrument cluster on this car is rather quite involved and besides removing the old ones and soldering the new ones in turned out to be quite easy. Now let’s see how long these replacements will last.